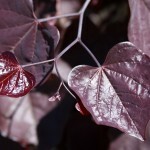 A small weeping tree with red-purple, heart shaped foliage. It blooms in the spring with a profusion of deep lavender flowers. The foliage turns to a dark green later in summer. This is a cross of 'Covey' and 'Forest Pansy'. 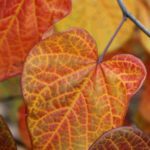 Grow in full sun to part shade in a well-drained soil. 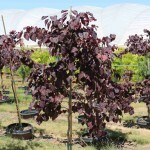 It benefits from summer watering and protection from hot or drying winds. PP 22,097.